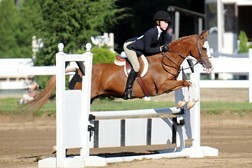 CONGRATULATIONS TO ALL END OF HUNT RIDERS FOR AN OUTSTANDING SHOW SEASON! 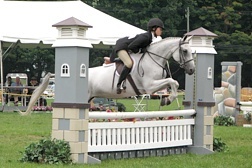 End of Hunt's riding program offers instruction in hunter seat equitation, dressage, jumping and combined training. The program caters to both the beginner riding enthusiast and the serious show competitor; with coaching and instruction ready to take you to national level competitions. Beginners are always welcome. 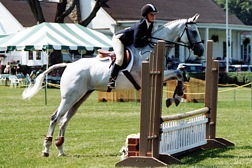 Riders are taught on well-schooled ponies and horses by experienced instructors. Both group and private lessons are available. End of Hunt instructors are dedicated to a safe learning environment while promoting confidence and a winning attitude! End of Hunt's "Tiny Trotters" program provides young riders with an excellent introduction to all aspects of horsemanship. Along with a weekly half-hour private riding lesson, young riders will learn about horse safety and proper grooming. For more information on End of Hunt's riding program and/or "Tiny Trotters" program, call Trudy Wissel at 860-668-1656 (home) or 860-668-9990 (stable). "Riding is a partnership. The horse lends you his strength, speed and grace, which are greater than yours. For your part, you give him your guidance, intelligence and understanding, which are greater than his. Together, you can achieve a richness that alone neither can."